Wonder how to choose best vitamin supplements for? It is a valid concern to many shoppers what is the quality, safety of the vitamin supplements they are going to purchase, let alone the reliability of the manufacturers. You are assured that our recommended vitamin online stores are carefully evaluated before we make recommendations. FDA does not has a strong guidelines or enforce the law that vitamin supplements manufacturer must use the same GMP (Good Manufacturing Practice) guidelines like manufacturing drugs. Are the potency level of the ingredients high enough to provide optimal daily nutritional intake without compromising safety? Are the ingredients provided in their most bioavailable form? Is the safety profile of each ingredient thoroughly researched and evaluated? Does the company meet the United States and Canadian pharmaceutical guidelines - for Good Manufacturing Practice (GMP)? Is the product formulated to meet pharmaceutical standards for full disintegration and dissolution? Is the product potency guaranteed for a specific shelf life? Is the vitamin supplement product independently tested, reviewed and guaranteed for potency and safety? Is the product manufactured in-house (not contracted to the lowest bidder)? Is the product free of ingredients that may have cumulative toxicity? Is the product in harmony with nature (use plant (better still organic) extract as part of their ingredients? Does the label list all active ingredients and the DV or RDI percentage clearly and readable? If the product meets all of these criteria, you know that you have nutritional supplements of exceptional quality! The Federal Drug Administration (FDA) classifies vitamin supplements as "food", not "drug". Manufacturers and distributors of vitamin supplements need not perform vigorous testing and research required for drug manufacturers. I find Center for Food Safety & Applied Nutrition provides good Tips For The Savvy Vitamin Supplements User to further research before making informed decisions and learn how to choose best vitamin supplements for yourself. Presently, there is a lack of manufactures who make available their research, manufacturing facility and practices to the public, especially through web sites. Many make their claims especially on the Internet to lure customers but few really publish their information. do I get money back guarantee within a reasonable period of time? does the online shop deliver with reasonable freight charges? does the online shop provide sufficient information about its products I want to know? do I get royalty discount or bulk discount? does not provide adequate information to the online audience. uses lead or other heavy metal in their binder. One of such manufacturer is Wyeth. Caltrate® 600 is reported to have highest lead content among other brands tested. uses controversial addictive in their vitamin supplements. Centrum Adult Multivitamin contains aspartame. uses private label, meaning they get their vitamin supplements from a supplier but put their on brand on it. One of such stores is GNC. You must alos beware of those vitamin supplements being recalled or issued warnings of their use. I prefer to buy from store who direct market their own products and provide direct customer service to me. This will ensure higher reliability in terms vitamin supplements quality and services. I found some of top rated vitamin supplements products and manufacturers through my research. These are the companies and their product you can consider. You will find comparison and review useful before you make a informed decision. There are indenpendent reviews of vitamin supplements available. Check it out. Consider only those who pass the test or have good review. Before you buy, here is another tip on how to choose best vitamin supplements online stores. Check out our buy dietary supplement guide, and learn more and get nutritional supplements from recommended vitamin stores. Where To Get Quality Natural Vitamin Supplements? Xtend-Life is one of the our 5-star merchants. We recommend it. 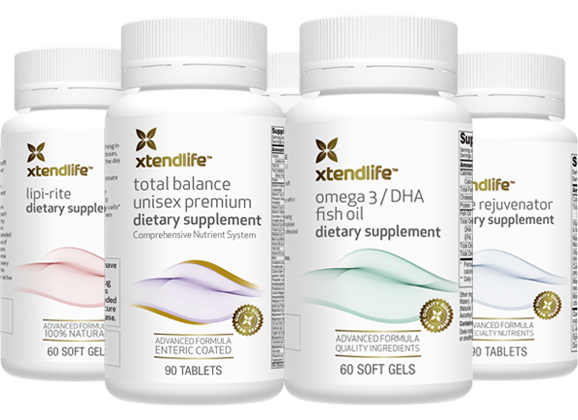 Read Xtend-Life review. Choose a multivitamin that suits your budget. Return to top of How to Choose best Vitamin Supplements page. End of how to choose best vitamin supplements page.